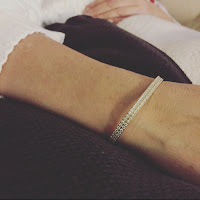 ByKranz is a Danish Jewellery Designer focusing on classic and aesthetic appearance. The danish design is remarkable for classic lines and high quality materials. From gold, rose-gold up to steel, you will find everything your heart desires. First of all I was positively surprised by the simple, yet thrilling and gorgeous design. I don’t have much jewellery in gold but I fell in love with the necklace at first sight. The jewellery was shown to 6 different women who all agreed on the beauty of the design and were convinced of the high quality. Nearly everyone guessed the price of the earrings and the necklace right and said they would also purchase jewellery like this. 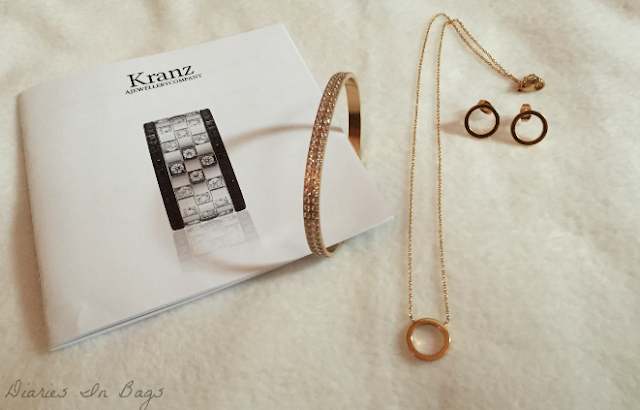 In ByKranz’s Online Shop the earrings cost 29€, the necklace is available for 39€ and the bracelet with the zirconia is purchasable for 95€. 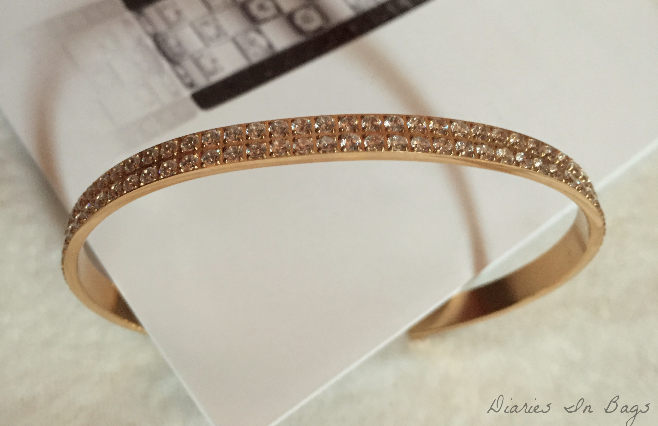 The high price of the bracelet is surely justified by the high quality materials and the zirconia stones all over it. The earrings were tried by someone allergic to most fashion jewellery for several days and I can say for sure that there was no allergic reaction. Also I was told that they are comfortable to wear which I also can agree on. Now there’s a surprise for you, dears. I got a second version of every piece shown in this post and I’m giving it away to my german followers! Ihr Lieben, nun also auf deutsch, da es alle Follower mit Wohnsitz in Deutschland betrifft. Ihr könnt diese beiden wundervollen Schmuckpakete gewinnen. Teilnehmen könnt ihr bis 01.11.2015. Ausgelost wird dann am 02.11.2015 und die beiden Gewinner werden per Mail beachrichtigt. Ich drücke euch die Daumen und bin schon ganz gespannt! Falls du Instagram hast, kannst du dir dort noch ein 2. Los holen! Viel Glück beim Gewinnspiel! Schön, dass du mitmachst. ich würde mich über das erste Set freuen. Ich folge dir über Google Friend Connect und auf Instagram (dort heiße ich nicoletta2311). Ich nehme an, du bist auch oreokeks2 auf Instagram, dann hast du 2 Lose!